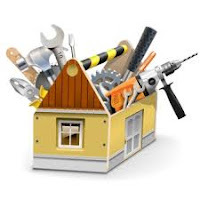 Tips On Getting Your Home Ready To Sell! Maybe you have been transferred to a new city or found the home of your dreams. Selling your current home now tops the list of “Things to Do.” It’s a huge undertaking but Spring is the best time and Bin There Dump That is here to help get your home ready to sell. Much contributes to Spring being the best time to sell. One reason is the weather. Compared to Winter months, grass, trees, and flowers, enhance the look of our homes. And with technology, your home must have an impressive first photo of the exterior. Today, people are searching the internet and that photo will attract potential buyers. So, how is your curb appeal? It is suggested ‘less is more’ with landscaping. The simple rules to keep in mind are 1. Keep it manicured 2. Add some color, and 3. Make it weed free. 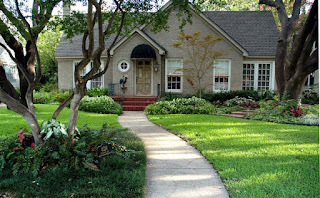 The goal is to trim the trees and bushes, add some colorful annuals, and feed the lawn to make it healthy. Once you have cleared out Fall leaves and extra limbs, these can easily be disposed of with Bin There Dump That bins. 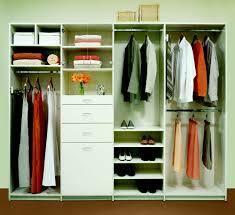 According to realtors, a good rule of thumb is to clear out 2/3 space in cabinets and closets. This presents a wonderful opportunity! Home sellers are generating buyers by having garage sales. Certain excess items that are not going to be stored or moved can be sold and your neighbors will spread the word to their friends about the home being for sale. Any leftover items that did not sell can be easily taken away with one of our bins. Be sure to read our rules for what items Bin There Dump That can dispose for you. Sure, wallpaper is becoming popular again, but chances are buyers will most likely not agree with your style/choice. It’s best to steam away and discard. After the walls, look at your floor surfaces. Are there any chipped tiles to replace? Consider your budget, but another repair that will please buyers are new sinks and toilets. Fresh and clean bathrooms, cleared out storage space, repaired surfaces, and beautiful curb appeal…you’re now ready to sell! Give Bin There Dump That a call and we will schedule a bin to be delivered to your home and ease the preparation process.